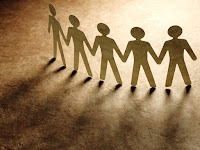 Despite no evidence of positive effects and compelling evidence of negative impact, some ineffective bullying prevention policies are still found in schools and communities. Examples of this misdirection include zero tolerance, giving advice only, expecting bystanders to solve the problem, implementing piecemeal efforts, and peer-only resolution. Zero tolerance policies and harsh, punitive consequences are ineffective approaches to bullying prevention. Zero tolerance became a term to describe how states were responding to drug-related crimes in the United States in the 1980s (Skiba and Knesting, 2000). Conventional wisdom at the time said that by showing no tolerance for crimes, meaning no leniency, no second chances, with drug-related charges that we would reduce drug use in the United States. This did not work. In an effort to reduce aggression in schools, educational policymakers took a similar approach and began adopting a zero-tolerance stance for aggressive behavior. Many schools and some states adopted policies where students were expelled for involvement in any type of fighting. Adopting this rigid stance may seem a viable solution, but it should be avoided. Zero tolerance and other harsh/punitive consequences for bullying behavior in schools are not effective; in fact, they may exacerbate the situation. One characteristic of bullying is the imbalance of power. Young people who engage in bullying behavior already perceive themselves to be superior over those whom they target. They are already disconnected and will be further isolated under a zero tolerance policy. Any chance for redirection is gone. Furthermore, students who are expelled or suspended are denied the school experience altogether. In schools where harsh, punitive consequences are involved, teachers might be reluctant to report students whom they know need intervention as well as sanctions. With the stakes that high, students might be fearful to tell teachers about a bullying situation; the possibility of retaliation is great. 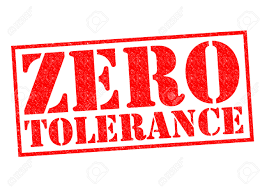 Most importantly, zero tolerance policies perpetuate the disproportionality of students of color being suspended or expelled (The Vera Institute of Justice, 2013). Students who are suspended and expelled are at greater risk for drop out, have lower scores on standardized assessments, and are less engaged at school, among other negative effects. Furthermore, students who are suspended or expelled are more likely to have criminal records, continuing the school-to-prison pipeline, especially for our children/young people of color who are already at greater risk of being incarcerated in their lifetimes. Finally, no research supports “suspension and other exclusionary tactics" in preventing bullying; instead, evidence points to these responses as bringing “increased academic and behavioral problems” for young people engaging in bullying behavior (National Academies of Science, 2016). Because of the evidence of its ineffectiveness and its potential to do additional harm, the 2016 recommendation from the National Academies of Science, Engineering and Medicine on bullying prevention policies and practices is clear: Zero Tolerance is a nonapproach in bullying prevention.